The first thing that jumped out to us on this morning’s routine market scan was GBX. The only company on the earnings calendar with a market cap of more than a billion dollars, it’s also boasting an attractive bottom setup on the chart. We’re going to tag the GBX 04/18 $30-35 Calls for observation, which gives us a couple of weeks to see more a rebound from the stock, which just began to rise off of in recent;y established 52-lows. 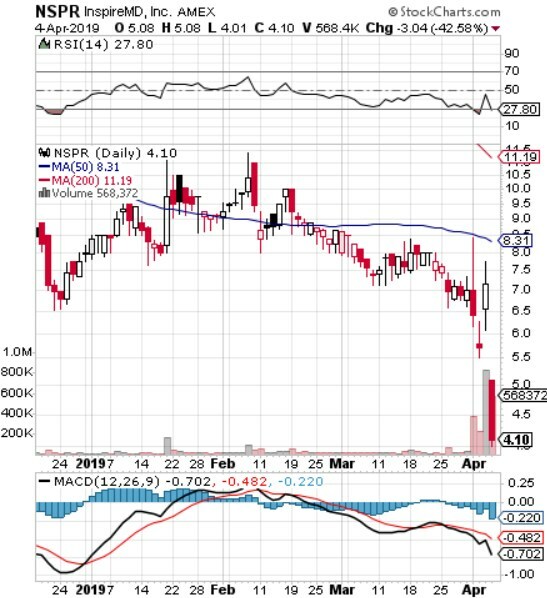 We also will be placing another recently struggling stock in NSPR on bottom watch this morning. With it just having registered new 52-week lows yesterday, it would appear there may be slightly further to fall before a rebound is imminent, if we look at the indicators, but we’ll start tracking it now. The stock was trading at twice this amount barely over a month ago, so the potential for rapidly recovery is also there.